The ambitious Starshot project aims to send a nanocraft to search for extraterrestrial life in another solar system, powered by a 100 gigawatt laser from Earth. 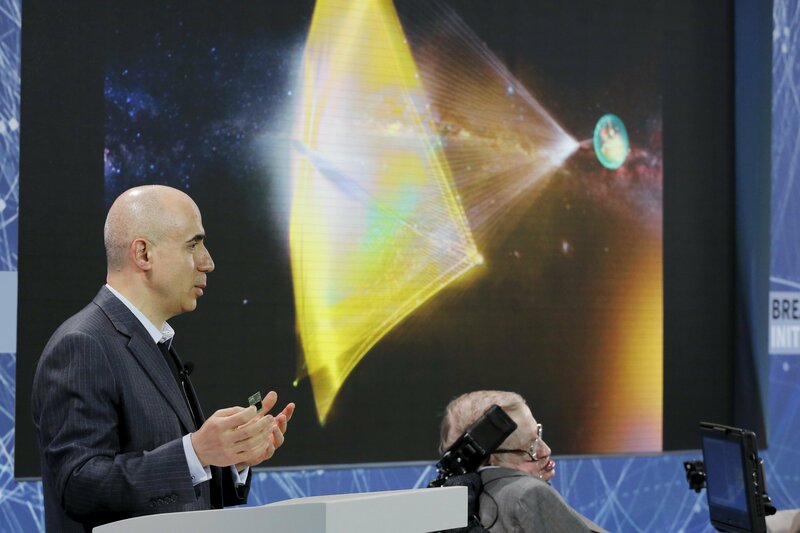 On Tuesday, the 55th anniversary of Yuri Gagarin's pioneering space flight, theoretical physicist Stephen Hawking and internet entrepreneurs Yuri Milner and Mark Zuckerberg announced the launch of the $100 million Starshot project. 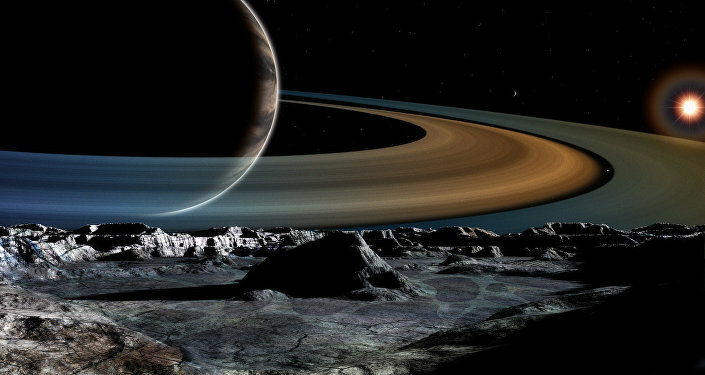 The project aims to demonstrate the possibility of space exploration using light-propelled nano spacecraft. The scientists plan to launch a small spacecraft into space and propel it to our nearest star system, Alpha Centauri, in just one human generation. The Alpha Centauri star system is 25 trillion kilometers (4.37 light years) away from Earth, and today's fastest spacecraft would take 30,000 years to get there. A wafer-thin chip carrying cameras, photon thrusters, power supply, navigation and communication equipment will enable the space probe to capture images of possible planets and other scientific data. The tiny probe will be transported to Alpha Centauri at a speed of 20 percent the speed of light, using a lightsail no more than a few hundred atoms thick, powered by a 100 gigawatt array of lasers on Earth. The movement of the spacecraft relies on a concept known as photonic propulsion, which NASA scientist Philip Lubin, who is also working on the Starshot project, suggested last year. Rather than typical means of space propulsion which use chemical processes, the method aims to propel aircraft through space by electromagnetic acceleration, which is only limited by the speed of light. When the powerful laser array shines on the reflective surface of the Starshot probe's lightsail, the momentum carried by energized photons within the laser beam is supposed to propel the spacecraft forward. Physics professor Philip Lubin explains his vision for future energy propulsion of interstellar flight. Astrophysicist Jonathan McDowell from the Harvard-Smithsonian Center for Astrophysics said that Starshot is humanity's best chance of reaching the stars, but has several hurdles to surmount. "The trick is accelerating with the pressure of light to accelerate a big, thin film of plastic that's shiny and catches the laser light so it goes faster," he said. "That's been demonstrated by the Japanese in interplanetary space a couple of years ago, but no one's got it really fast and we’re talking about putting something a thousand times faster than any human artifact has ever done." McDowell said that it could take a decade to get a spacecraft to accelerate with a light sail, and longer to adapt the technology for the Starshot nanocraft. "I think 10 years to get to demonstrating something accelerated with a laser light sail, but a generation to be able to do it for real to Alpha Centauri." Harvard physics professor Abraham Loeb said that the Starshot project is made possible by recent advances in the miniaturization of electronics, particularly in the mobile phone industry. "This method we’re talking about was conceived as soon as the laser was invented … The problem back then was that people thought that they needed to take humans along," he explained. "The big technological advance over the past decades has been the miniaturization of electronics, smart electronics. It was all driven by the cellphone industry. If you look at an iPhone and strip it from the case and the human interface, you’re left with smart electronics that weigh roughly a gram, much lighter than anything else to use." Loeb said that after a successful launch, Starshot will be able to rapidly explore the Solar System. "Just to give you an example, to get to Pluto it would take three days instead of the 9½ years it took New Horizons to get there. If we launch at a fifth of the speed of light, it'll get there the same week," he said.